RFID Technology and solutions has evolved over decades with innovations for various vertical markets. Now RFID solutions are all set to empower the IoT ecosystem. RFID (Radio Frequency Identification) is a flexible technology that allows businesses to close the gap between acquiring data, converting it to a meaningful information and automating all associated transactions. It can provide the real-time control to meet customer and regulatory requirements, improving efficiency and profitability. RFID can be read only or read/write, does not require contact or line-of-sight to operate, also it can function under a variety of environmental conditions, and provide a high level of data integrity. The Power of RFID is even more evident in the Internet of things (IoT) ecosystem. The number and range of IoT applications that can be envisioned with RFID devices are tremendous. The inherent value of RFID lies in enabling “things” to report data in real time for faster, quicker, more interactive decisions both at the industrial level and at the consumer level. There is a tremendous requirement for customized solutions like Vehicle tracking, library management, Campus Automation, Asset Management, etc. Every solution provider aims to provide a unique package of innovative and cost effective RFID solutions where “identification”, “authentication” and “automation” are of prime concern. The deployed solutions help the companies realize their hidden and invisible operational inefficiencies and this makes the system more efficient with reduced wastage and costs. Data analysis is further used to analyze the data collected through the deployment of RFID based solutions which in turn help the companies to take strategic decisions at the right time. Star Link has used RFID with several of its leading products to develop a more comprehensive solution. Star Link School Bus Solution gives real-time updates about the movement of the bus, arrival, departure, etc. Using GPS enabled biometric devices. It also provides the real-time update (Pick & Drop location) of the student through SMS, attendance report of the various classes as well as an additional movement where RFID based machines are installed. RFID has a huge scope of application in Education to manage the attendance of students within and outside confines of a school. Automated monitoring of entry into classrooms, labs, canteens and other areas through RFID frees up significant time that be utilized in driving educational objectives. While RFID technology is very useful as an independent tool, its value is maximized when it is used as a part of larger IT solutions, integrated with various other hardware and software, making complete control of the flow of operations possible. 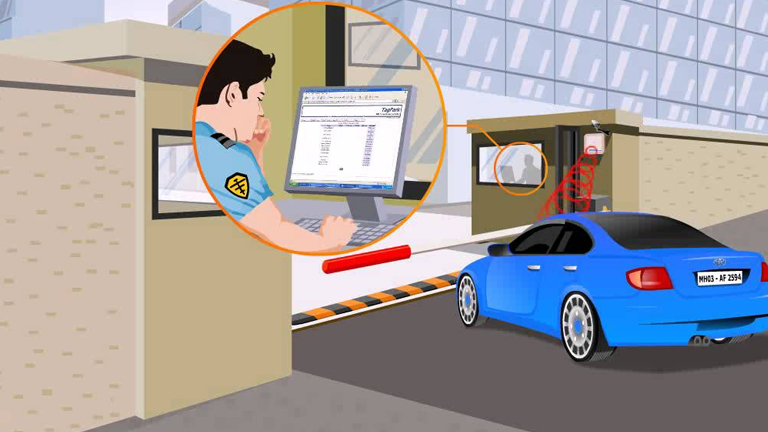 Star Link is one of the leading manufacturer of RFID based solutions and a lot of solutions, which enables the companies to control huge workforce.